Rudrapur is a town that is located in the Udam Singh Nagar district of the state of Uttarakhand. There are many tourist spots that are located in the city. The Atriya Temple that is located in the place has many legends surrounding it and it is a popular tourist destination in the region. One can also visit the nearby hill station of Nainital that is located around 72km away. There are many old monuments that are still surviving and these are good places to visit. The main attraction of the hill town is its rustic atmosphere and the peaceful location. Pick-up from Pantnagar Airport, drive to Rudrapur. check in at hotel & relax, evening free for individual activities. Overnight stay at hotel. Have your breakfast at the hotel. Visit to Rudrapur Local Sightseens, Atariya Temple the deity of Atariya temple is Goddess Atariya, Gular Bhoj Dam is a beautiful picnic spot which has incredible waterfront views. Evening free for individual activates. Overnight stay will be at the hotel. Nearest Airport Pantnagar Airport. 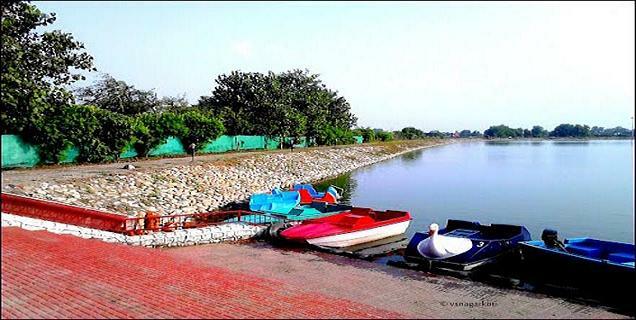 For those who are planning to come here via air route, the most excellent option to arrive from 13 km at Rudrapur. The municipality of Rudrapur has outstanding rail networking service and this is the approaching manner extensively used to arrive at Rudrapur.